In the highly competitive mid-size sedan segment, one car stands apart: The 2018 Hyundai Sonata. The Hyundai Sonata is safe, has a low cost of ownership, is spacious and features a surprisingly luxurious interior. No matter what happens, your new Sonata is protected with America’s Best Warranty™ at 5 years/60,000 miles. Keep reading to learn more about the best mid-size sedan on the market. The 2018 Hyundai Sonata is an IIHS Top Safety Pick when equipped with optional Automatic Emergency Braking and the LED headlights with Dynamic Bending Lights technology. It has also received a 5-Star Overall Safety Rating from the NHTSA. Very few cars in any class, much less the mid-size sedan class, have received these high safety ratings from both the IIHS and NHTSA. Not only is the 2018 Hyundai Sonata attractively priced, it’s also affordable to own. Kelley Blue Book gave the Sonata a 5-Year Cost To Own Award, signifying that it will save drivers who make a smart purchase bundles of cash in the long run. The Sonata’s low cost of ownership means that it’s reliable and that maintenance is affordable. Many mid-size sedans seem more like compact cars when you get behind the wheel. The Sonata doesn’t have this problem. At 122.4 cubic feet of interior space, the Hyundai Sonata is more spacious than any of its competitors. Adult passengers can acquaint themselves well in the backseat of the Sonata, which is rare in this class. Even some full-size sedans don’t offer a backseat that is comfortable for adults. Hyundai offers the best warranty on the market – 5 years/60,000 miles – for all its cars. * You can rest easy knowing that your new Sonata is covered. The warranties offered by the Sonata’s competitors pale in comparison. The Hyundai Sonata offers years and tens of thousands of miles more coverage, more than enough to make a meaningful difference. The Hyundai Sonata in Reno features an available leather steering wheel and available ventilated heated and cooled front seats for a splash of useful luxury. Most of the Sonata’s reasonably priced competitors don’t offer a luxurious experience, and luxury mid-size sedans are much more expensive. 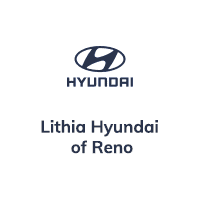 If you’re in Reno, Sparks or Carson City, NV experience the everyday luxury of the 2018 Sonata by taking a test drive at Lithia Hyundai of Reno today.